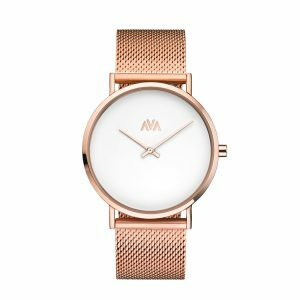 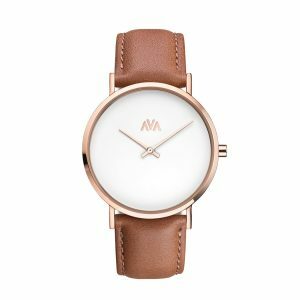 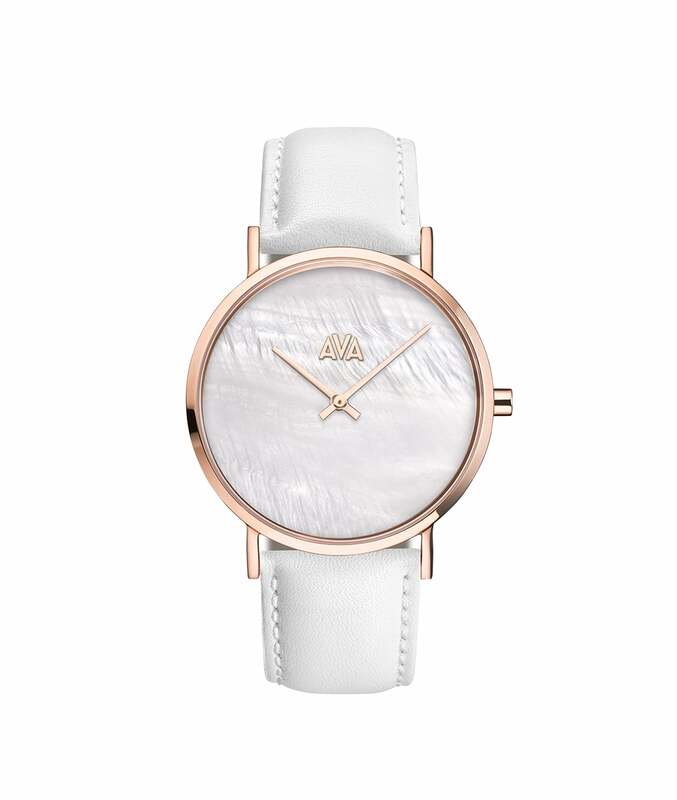 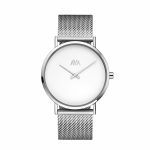 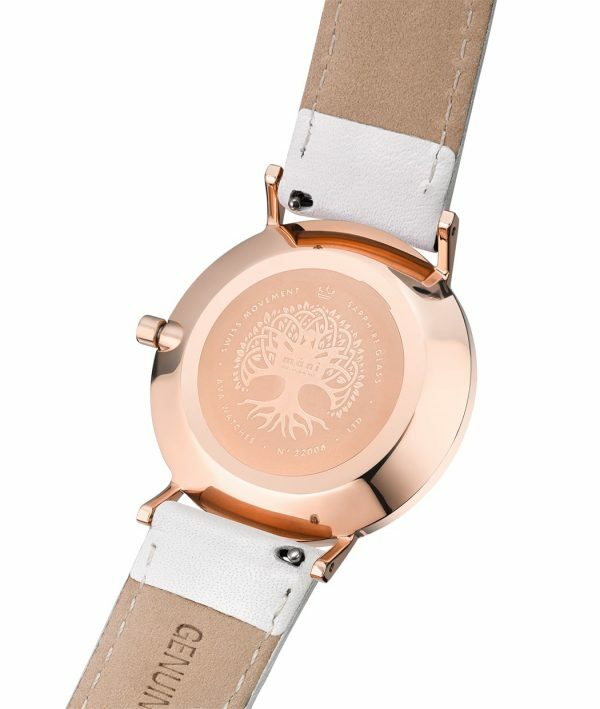 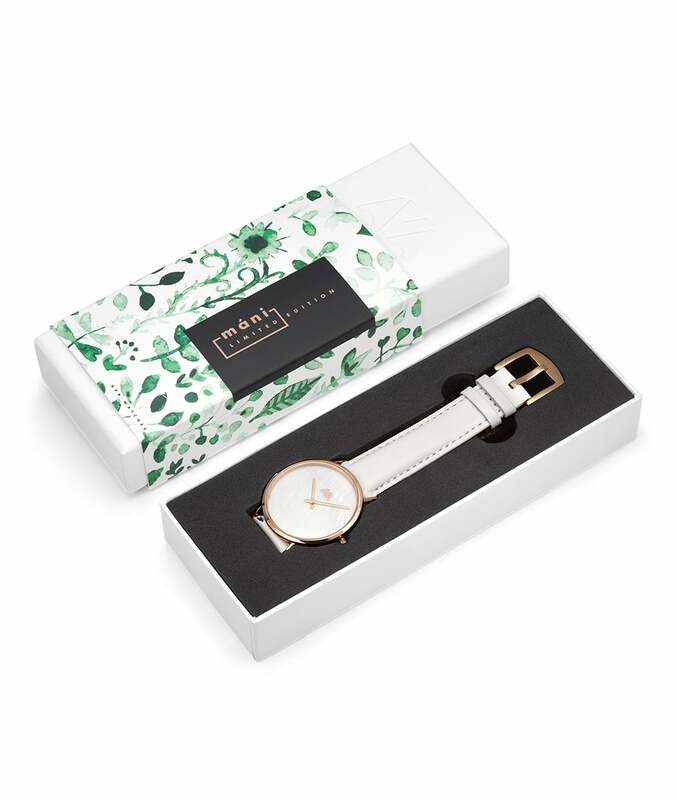 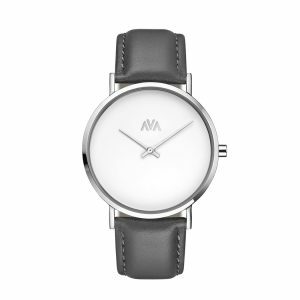 This limited edition AVA Máni Rosaguld•Vit•Parla watch features a Swiss Made Ronda movement and Sapphire glass. 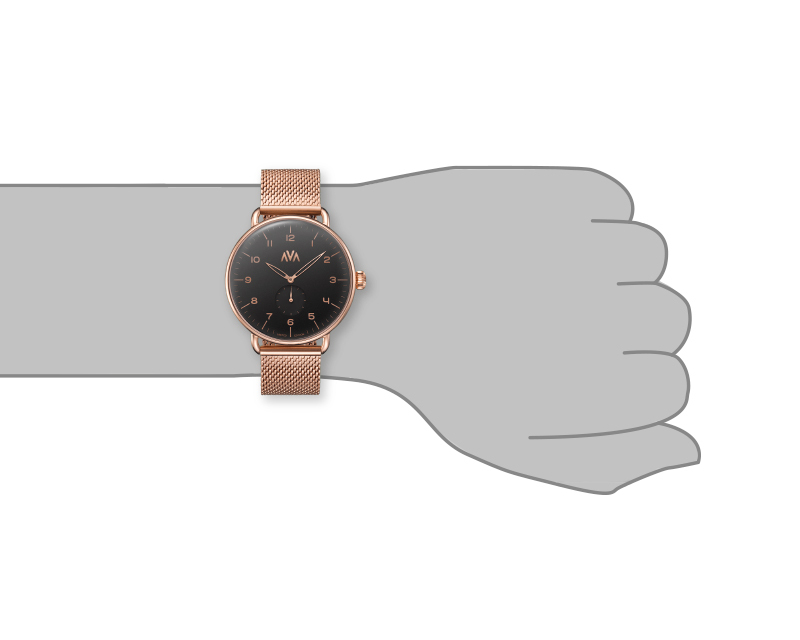 How will the watch look on my wrist? © 2018 AVA. All rights reserved. 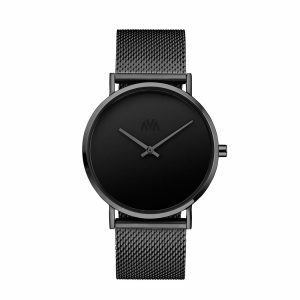 Our Máni Series features a Swiss Made Ronda movement, Sapphire glass and has an elegant 38 mm diameter case size. 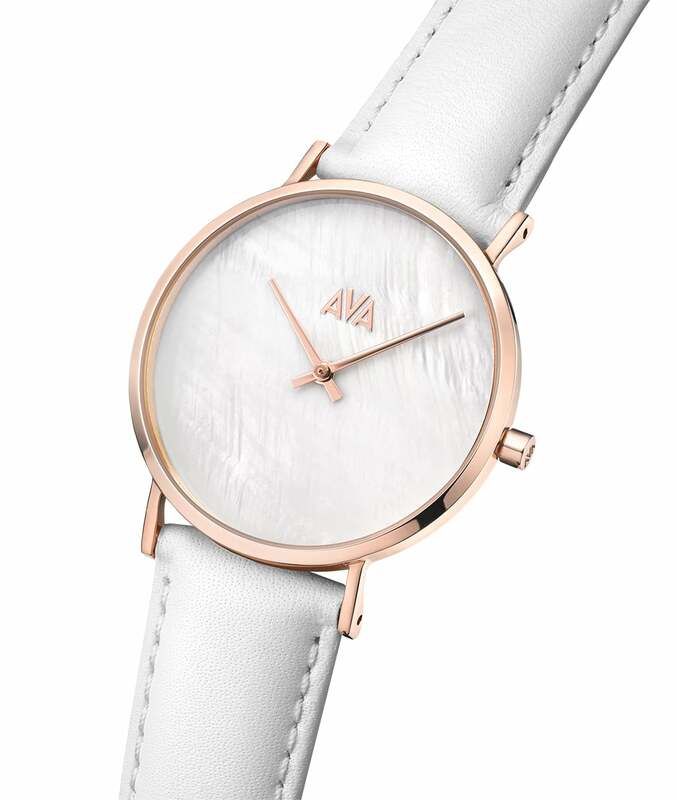 Our Fríge Series watches feature a retro style and elegant 43mm diameter case size. 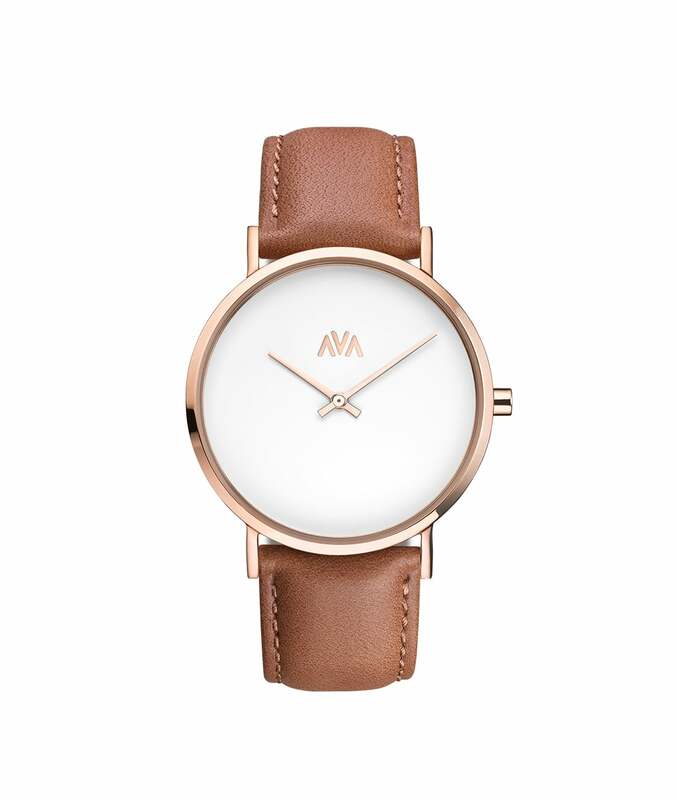 This watch style sits comfortable on the wrists of all sizes and is a great statement piece.